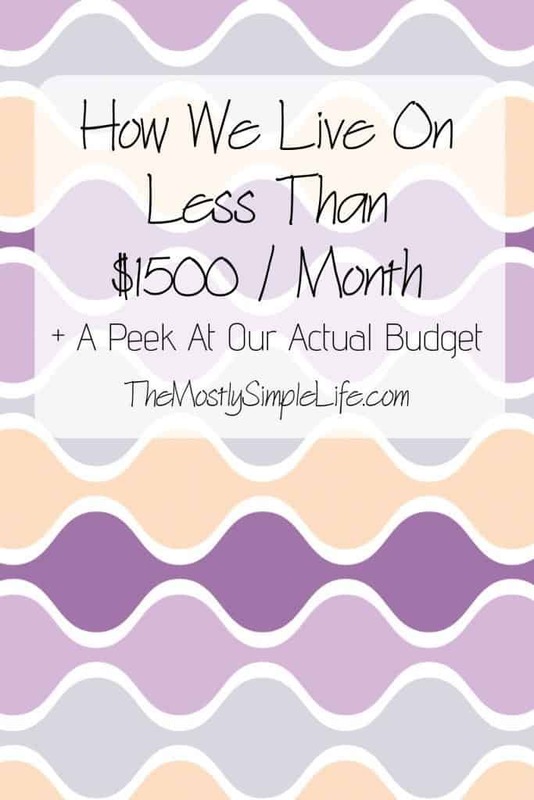 Today I’m sharing what our average monthly budget looks like and how we live on less than $1500 a month. Eeek! I’m a bit nervous. I’m not sharing this because I think it’s possible for everyone to live on how much we do. Obviously, some parts of the world are more expensive than others and there are tons of other factors, like family size, hobbies, and health concerns to take into account. I’m sharing it in hopes that it might inspire you to find ways to cut certain parts of your spending and because seeing how we handle our money might give you ideas of how to handle yours. NOTE: Our budget has changed since I originally wrote this post in 2016. Our budget looked like this for about 5 years. If you’re interested in our current budget, you can read about how we live on $2500 per month. If you are searching for ways to cut back, this book was a huge inspiration for me when we first got married and were living on an even tighter budget: America’s Cheapest Family. If you are struggling with debt, budgets, or paying your bills, I highly recommend reading The Total Money Makeover by Dave Ramsey. He lays out a step by step plan for getting in control of your finances and becoming debt free. Our budget is for two adults and one spoiled pup. We live in a very low cost of living area in West Michigan. Our house payment is crazy-low (yes, that number includes taxes and insurance), for which I am grateful every single day. We purchased a foreclosure home when prices were low and we had help from a local nonprofit to make the house livable. We could have easily spent more, but we had decided that it was really important to us to not overspend on housing. We wanted a payment that we were comfortable with. Check out my post about the #1 mistake you don’t want to make when buying a house. We don’t have a car payment and we pay our credit card off completely every month, so no debt payment there either. Our budget stays relatively the same month to month because we have separate, mini savings funds for irregular bills and expenses that we contribute a little into monthly. So essentially, this is our “bare bones” budget. If we want to save or spend above this bare bones budget, we need to make extra money. How to Stop Eating Out: Break the Habit! We decided to purchase a foreclosure home when prices were low and we had help from a local nonprofit to make the house livable. On a budget plan to keep it the same every month. We each have a super basic “non-smart” cell phone. No texting plan, no data plan. It saves us a TON of money. We share one car which also saves a ton. If you look below, you will see that we also have a mini savings fund for groceries for our every-couple-months trip to the “big city” to stock up on meat and non-perishables at Sam’s Club and Aldi. So we probably average about $50-55/week on groceries. Meal planning is one of the most important things we do to save money on groceries. You can get the weekly meal plan printable I use each week by entering your info below! Grab Your FREE Weekly Meal Plan Printable Now! 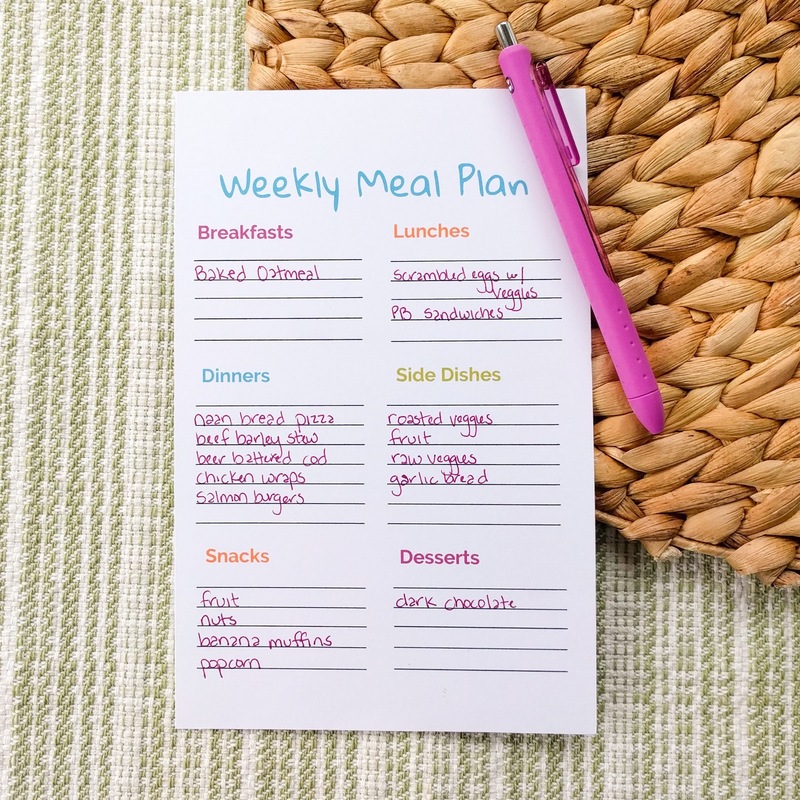 Easily plan your breakfasts, lunches, dinners, snacks, and desserts each week! I use Ibotta to get money back on our groceries. They even have rebates for fruits, veggies, and store brand items! You can get $10 added to your account when you redeem your first rebate. I’ve even created a tutorial for exactly how I save money on fruits, veggies, and non-name brand foods. This is just a mini-buffer for if we need something little: like if one of us needs new socks or we can’t pass up on some after Easter candy deals. I highly recommend using Capital One 360 to create sinking funds. They allow you to have up to 25 separate savings accounts. You can nickname your accounts to correspond with your chosen categories and have money automatically deposited to each account as regularly as you want. I plan our budget monthly, so I have money automatically added to our accounts on the first of every month. I have used Capital One 360 for years now and these savings accounts have helped our budget immensely. Plus, they give you a 1% interest rate which is way better than our regular bank. That’s our basic “bare bones” budget showing how we live on less than $1500 a month. Like I said earlier, we usually make extra money each month. If we do, we decide how we want to spend or save it. I hope our budget might give you a little hope or inspiration if you’re trying to live on less. ⇒ Leave me any questions in the comments! I try to answer them all. This is fantastic. More power to you guys for living so smart! Definitely an inspiration. Stopping by from The Blogger Life! If definitely takes a while to find what works for you at different phases of life. You can do it! I like how you save certain amounts for different things like Christmas and giving. That’s so smart! Thanks Marette! I don’t like big expenses to sneak up on us, so this has worked really well. 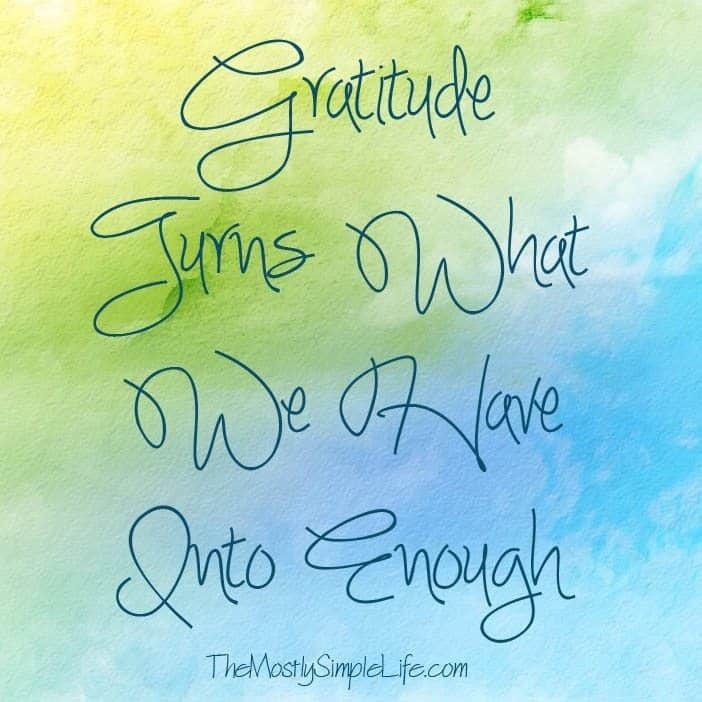 Love this….I love getting debt free and budgeting and saving money and making money!!! I love this, you budget nicely I’m sort of doing the same thing but I live in NYC so my expenses are so much more. But I also cut back on eating out because that’s a major whole burner in my pocket. I love to also transfer money into my 360 monthly. Thanks Liliana! Eating out is the hardest part of our budget to control too! Very impressed! I wish I could get my husband to follow a budget. I will share this with him. Thanks for sharing! Good luck Lisa! A budget doesn’t have to be restrictive at all. It just means that you are making a plan for your money. This is impressive! Our rent and car payments combined are more than your total spending. Wish we could get our bills down to this, but Denver is such an expensive city. It’s definitely hard in a big city! I’m sure you can find little ways to cut back though. Thanks for sharing this, I find it so helpful to see how other people budget. I started using the 50 – 30 – 20 budget I learned about in Elizabeth Warren’s book All Your Worth. 50% of my income goes towards expenses, 30% spending, and 20% savings. I don’t spend all the designated money each month, so the leftovers are slowly building buffers for each account. I’m living in abroad right now in a cash based culture, but when I get back to the states I’m looking forward to having a separate account for each. I think the 50-30-20 plan is really smart. Good for you! Amazing, obviously everyone needs to find a plan which works for their lifestyle but it’s great you guys can live so frugally and make it work! I have a budget worksheet I stick to and I’ve found that just holding myself accountable really helps make me think more about where my money goes! That’s awesome Laura! Just being mindful about your money can make a huge difference. Wow! I couldn’t imagine being able to live on only $1,500 a month! However, we have a few loans and a mortgage we are trying to zap right now. Thank you for sharing all of these details to prove it is possible! I’m hoping I will be this lucky in a few years! For most of our marriage we’ve lived on this much or less out of necessity. It definitely takes hard work to set up your life so that you can live on less! I love Capital One’s 360 plans. I’m very impressed with your organized budget, this is definitely something we need to be better about! Thanks Leah! I love Capital One 360! I am so jealous of your mortgage payment! I know, it’s pretty amazing! It definitely took some sacrifices (we basically bought the cheapest houses for sale) but it’s been a huge blessing to us. I love to see how people budget, and thanks for your transparency! You do so well with your grocery budget, I’m sure it feels great to be able to grab take out with your sweetie and not go into debt doing it! I love it! It’s so important to be open and honest about budgeting. My wife and I live on a little less than this, but we are lucky and don’t have to pay anything for utilities / rent / mortgage / etc. (part of the job). Unfortunately, we have a lot of loan minimum payments which brings it back up. Thanks for sharing! Thanks Cassie! That’s awesome your don’t have to pay for housing! I’m sure that helps a lot with your debt payments. After all the sacrifices/smart choices you guys have made like sharing a car and not having smart phones, you totally deserve your eating out budget! 🙂 I also have mini savings funds in my budget, I just call them sinking funds. Great post! Thanks Erin! I’ve heard them called sinking funds too. That’s great you’re using them in your budget. I love how simple your budget is. If I could get my husband on board, I know there’s a few places we could really cut back. Thank you for breaking this down. Thanks Liz! You can do it! Thanks! That’s totally OK that you spend that much for just you. If we had one more or one less person, it wouldn’t change a lot of those bills. I do the same thing with irregular bills in my Barclays savings accounts – car insurance, eye doctor, vacations, etc. I really prefer that system to trying to sort it out of my regular spending. Glad I’m not the only one! I love having everything separate so that I don’t accidentally spend it. Love the breakdown! And yes, I’m envious of your house payment. 🙂 Thanks for linking up at Frugal Fridays! So true about cost of living! Our rent here is pretty low for the area and wet live in a place that’s small for a family of our size, but it’s still double your mortgage. Conversely, I once lived somewhere that was very low cost of living and for two people our total grocery bill was $120/month with dining out happening very rarely. Now I’d love those prices! Thanks for sharing your budget! I think it’s a great idea to keep your house payment down if at all possible and I like what you did there. All too often, the temptation to stretch the budget for a big expensive house can sometimes lead to financial repercussions down the line. Thanks Hayley! We really thought hard about how big of a house payment we wanted. It’s such a huge amount of debt to take of and we knew if we spent too much we’d be strapped with a high payment for decades. It’s a big decision! Thanks so much for sharing your budget! I also love how you all are financially responsible but enjoy little things in life like eating out. You aren’t kidding about different areas costing more. We live in a large metro area and our rent is over 3 times what you pay for your mortgage, and we have a 1 bedroom 700 sq ft apartment in one of the cheapest outskirt areas. I like the mini savings accounts thought…I may look into the 360 account you recommend! Thanks Amanda! The 360 accounts are really nice for saving up for different things. Thanks for sharing this! I was inspired. 🙂 We’re pretty frugal too and I love to see how other people make small budgets work. The gas budget intrigues me. There is no way we could ever stick with a set amount each month, maybe partly because my family lives a couple of hours away and so even if we just go there every now and then, it really messes things up. But I definitely like the concept. Also, just a suggestion, but I wonder if you all couldn’t get your cellphone bill down even more. Maybe you already have checked into it, but there are companies like the one we use (Ting) that are super inexpensive. We never pay more than $35/mo. for 2 cell phones. Now granted, we do have a house phone that we use for some local calls but even so, we also pay for texts and occasionally a tiny bit for data, so I would think that you all could do it just as inexpensively. I’m sure you already have considered something like that, but thought I’d mention it since you seem to enjoy saving money too. Thanks so much for your comment Lydia! We live in a small town and could walk to most places if we wanted, so our gas budget is pretty tiny. If I know we have to make a few longer trips in the coming month, I do raise that part of the budget. I know there are some cheaper phone options out there, but I’ve been a little nervous to try them. We live in a really rural area and I’m not sure some of the cheaper phone companies would get service out here. We have Verizon and we still lose coverage when we drive certain roads. I need to talk to other people around here and see if they’re tried some of the other companies out there. Thanks! Hi there. I think this is a great idea. One that I’m going to seriously consider. I have a question though. You have accounts for grocery and Christmas, do you have to pull the money out from an ATM. If I’m not mistaken, the account that you’ve set up are savings accounts so you aren’t able to use a debit card. How does that work? Thanks for the question Kym! I can transfer money between the mini savings accounts and my checking account at our regular bank. If I know I am going to buy Christmas presents, I’ll transfer the money before I spend. Otherwise I usually have enough money in my checking account to cover what I need to buy and then I transfer the money to cover it later. The grocery money in that account is for stocking up on things every 3 months, so I plan for a special trip and transfer the money for that. That’s good to know. I may sit down abs really think about this. Thank you. Do you know if it’s possible to automatically deduct money from these accounts. For example, can I set up automatic deduction from one if these savings accounts to pay my phone bill? I think you would have to check if your phone company can automatically deduct our bill from a savings account, because these are saving account. But the accounts don’t have “bill pay”. You can transfer money to you checking account to pay a bill though. I like how you broke up your money into the separate savings categories. When my husband and I got married, we realized that we had all these miscellaneous expenses each month. We do cash envelopes, so we have one envelope for all these extra, irregular expenses, but I think it would be more helpful to have specific categories for these. Thanks for the tips! From Kaitlyn @ Simplifying Nutrition. Thanks Kaitlyn! It sounds like you guys have a great system. I like having each category separate because it’s easier for me to not overspend for each category. How do you get health insurance for only $62 per month? Because of our low income, we qualify for a tax credit for insurance. Also, it’s insurance with a SUPER high deductible. Thx for posting this amazing budget. I would like to point out a few issues, 1) you pay $62 per month for insurance because everyone else is basically making up the difference and paying your “tax credit”. Obama care has made insurance for 2 adults even with a super high deductive around $500 per month. Also, your budget has no taxes. Therefore, you’re able to live on so little because you’re not contributing to roads, education, welfare, security, (and might I add ridiculous government overspending), blah blah blah. In fact, others are probably working hard in order to subsidize your use of any federal benefits like the premium tax credit subsidies. With that being said, I’m extremely impressed by your ability to stick to a budget which is extremely difficult even for the very disciplined:) thx for sharing!! Thanks for commenting Brittany. I never said what our actual income is as it varies a little month to month. I can assure you that we pay every bit of the taxes that we are supposed to. My budget is only showing our spending. We work very hard so that we don’t need to receive government assistance even though our income has often qualified us for it. Super impressed with how you handled Brittany’s comment. Very gracefully done. Our budget is tight like this too as we also bought a foreclosure. We almost have it paid off! No credit cards. We have used furniture and not fancy stuff. We do have a smart phone and one low car payment. We just cut out HBO and house phone to give us a little more spendig money. Our cost hurt is health insurance. Its higher than any bill we ever have. Great post! Thanks Lisa! Sounds like you guys are making some awesome choices! Your mortgage sounds devine! I’ve got my budget a lot tighter than you I think, unfortunately out of necessity right now. I’ve got a hefty amount of debt to pay off and have to say a budget has made the world of difference to understanding my money and gaining control of it. The biggest thing is it’s helped me cut my living costs sensibly. It’s been an interesting read, thanks for posting. That’s so great you’re getting in control of your money Lloyd! Good job! Thank you for sharing! I also found your discipline and choices commendable. I too, live on a tiny budget and thrive. Your sharing your budget helps me to rethink a few areas of expenses. ???? Thank you for your transparency, this is so inspiring!! Question – and this isn’t meant to offend, just curious. We just had our HVAC go out and had to spend $12K to replace it. What do you for those scenarios? Or what would you do? I have found that owning a home can leave more risk in the budget than renting. Thanks again! O that stinks Kelley! We have an emergency fund that’s in one of the mini savings accounts at Capital One that is about 6-9 months worth of our expenses. I don’t have it on my budget because I don’t currently contribute anything to it (but it took years to get it to where it’s at!). So if we have crazy stuff come up, we would use that and take money out of other funds if we needed more. Then I would put 100% focus on building that emergency fund back up ASAP. On occasion we’ve borrowed money from my parents for things (back before we had a big emergency fund), but I don’t like doing that and we always paid them back as quickly as we could. I love capital one 360 savings. I try to get everyone I know to use one. It really makes your savings stay there. You really need to plan ahead if you are going to use it. The biggest benefit is you can have up to 25 different accounts which I LOVE! I love all of the different accounts too! It really helps to keep money separate for different things. This is such a great post! I found your blog while scrolling through Pinterest and I’m excited to read more 🙂 We live on a similar budget while we save for our future dream home! Thanks so much Kelly! How exciting that you are saving for your dream home! Living on a tight budget will be so worth it!!! Thanks Heidi! Location makes a huge difference in how much things cost. We could have spent WAY more on a house, but we practically bought the cheapest house we could find that was livable 🙂 West Michigan is really inexpensive, which is wonderful though! I bet your kids eat a ton at that age! Just keep doing the best you can. If you’re trying hard and making an effort, it’s 20x better than not trying at all! I noticed that you don’t have clothes budgeted at all. Do you usually thrift shop? Or is there a yearly clothing budget? I feel like I spend a lot less than most people on clothes, but since I have to dress up for work, it’s hard to find great deals, and since I hate shopping, I usually just wait until my favorite stores are having a sale on their sale items. Good question Hannah! I don’t usually budget for clothing. If I know one of us will need some new clothes, I try to save out any extra money we make over what we need for our monthly budget. I usually shop major clearance and have good luck at consignment stores and thrift stores. We used part of our tax return this year to get each of us new shoes since we spend quite a bit for quality shoes and I knew I would be needing new sandals and my fella would be needing new dress shoes. I try to think ahead on stuff like that. Sorry if you’ve already answered this….how is your grocery budget so low?? I am interested in the 360 account for savings. So I can use this directly with my Bank account and transfer from one to the other? You can! It does take a few days for the money to transfer either way, but it works really well. So we save money each month for our city bill that comes every 3 months. When the bill comes I transfer the money over to our checking account at our regular bank. It takes a couple of days to get there, but when it does I pay the bill. It takes a bit of planning ahead, but it’s nice to have the money so separate. Hi! Awesome stuff! I am trying to contact you but your contact me page is not working for me. I have a few questions and I also live in West Michigan and have just started a blog and I love yours and am looking for someone to chat with about all this. I promise to not take up a lot of your time! Please email me and I will make it very brief! Thanks! Because of our low income we qualify for Obamacare with a tax credit, so that’s why it’s so cheap. But our plan is terrible. We pay everything out of pocket because the deductible is something like $10,000. It’s super hard to figure out. I had insurance options through my work that were insanely expensive. 1. 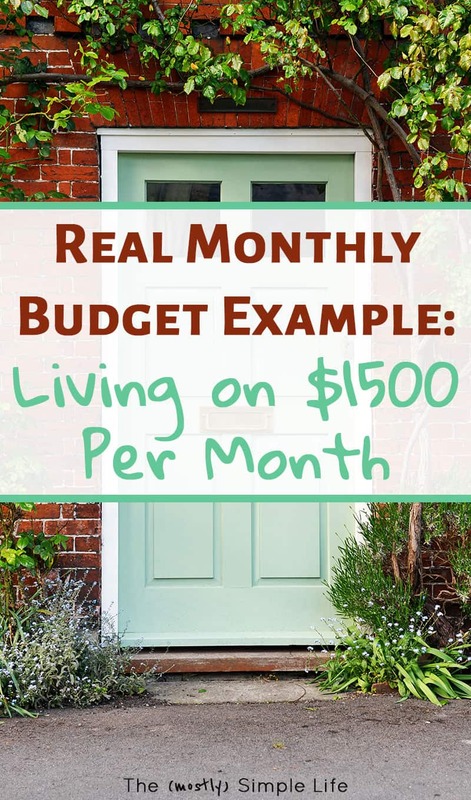 We both are living on $1,500/less per month! 2. We both are Michiganders! I am new to blogging and would love to connect and start some blogging relationships. I could also use some help or advice with my blog. I would love the opportunity to get to know you better! Very cool! I love finding other Michigan bloggers! I’ll try to answer any questions you have. I’ve only been blogging since January, so I’m no expert 🙂 I like the look of your site. I just found your blog Christine. Thank you for sharing! This really helps me right now. I was in an accident back in December and I have a family that consists of two growing boys (7 and 11). So, my husband and I had a very tight budget due to me not working because of my accident. Sad thing is it’s hard for me to budget one because sports fee change, uniforms, traveling for sports, etc… I do have awesome parents that help out though. I’ve stopped insurance on our car (no payments on it) and motorcycle to help out and my school loan was accepted for payment change due to income change. Now it’s $0/month. So, I can pay what I can. I’ve done some to help our budget. No medical bills because my insurance pays that and I still get a small paycheck every other week. However, I as well do use ibotta. Love it and have used it to buy a lot of things for my family. I’ve earned $188.55 so far. I also use SavingStar and sometimes Checkout 51. I’ve found a great app called hollar as well that sells great stuff for every cheap. Once again, thank you for sharing your budget! I’m so sorry you’re going through a rough time Judy. It sounds like you’re doing a lot to save as best you can. I hope things get a lot better soon! Great article! I think it’s very important for people to know where their money is going and budget. 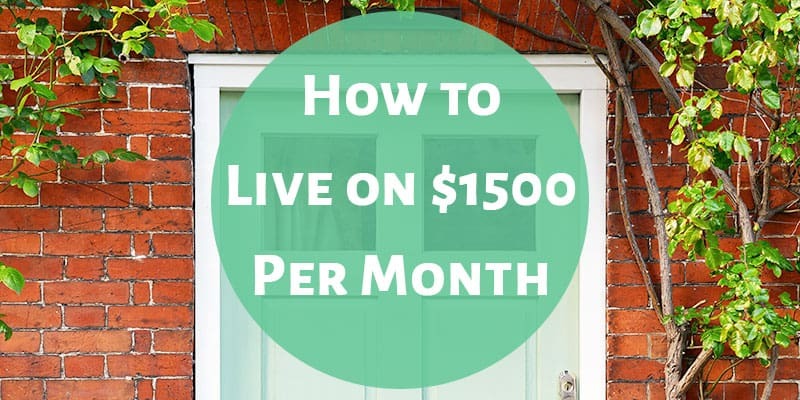 Correct me if I’m wrong, but I feel that saying you live on less than 1500$/month is misleading. You are putting away an extra 1400$/month inn your saving accounts from which you simply take money out of when needed. You also save up money for extras you are spending on like clothes. In my book, a budget should account of all these expenses. I would add the money you put into the small savings accounts into the main planning budget and as you need/use the money, you can add it into your actual spending budget. Your spending will vary from one month to the next, but what is wrong with that if you’ve already put the money aside. This way you will not be hiding away expenses and will have a better view of your spending when you look back at the end of the year. Thanks for your comment Liah! Actually, all of the money we save for different categories is included in the $1500/month. So while there are months we spend more or less, we’re always saving money for different expenses like car repairs or extra groceries. This is just our normal bugdet. If we do make extra money, we will save or spend it how we wish, but my goal was to present our basic monthly budget that we can live off of quite well even if we don’t make extra money. Everything I listed in the post adds up to less than $1500. Wow, great job living on a small amount! I did want to add that smartphones don’t necessarily have to break a budget. Many people pay a huge monthly bill for them, but it’s not inevitable. We both have smartphones and pay only $30 per month for the two lines, including texting and data. Thanks Ruth! I know there are some inexpensive options out there for smartphones. We were living in a really rural area where even the best cell phone providers didn’t have great service, so we never checked into many of the options. Now that we’re living in a bigger city I want to look into it. I hear you on the service! We live in a rural area of Michigan where even Verizon doesn’t have great service. Cricket offers amazing discounts for having multiple lines. The max they allow is 5 lines. So we got 3 friends who all wanted to save money also and added them to our plan. Our final personal cost is $30 per month. Last month it was $27, because Target was offering Cricket gift cards for $27 that were good for $30 worth of service so we bought one and refilled our account with that. That’s awesome Ruth! I’ll have to look into Cricket!